Sony Entertainment Television’s popular show, Super Dancer Chapter -3 has their top 12 contestants all geared up and ready to give their best shot at the Grand Premiere this coming weekend with some power packed performances. 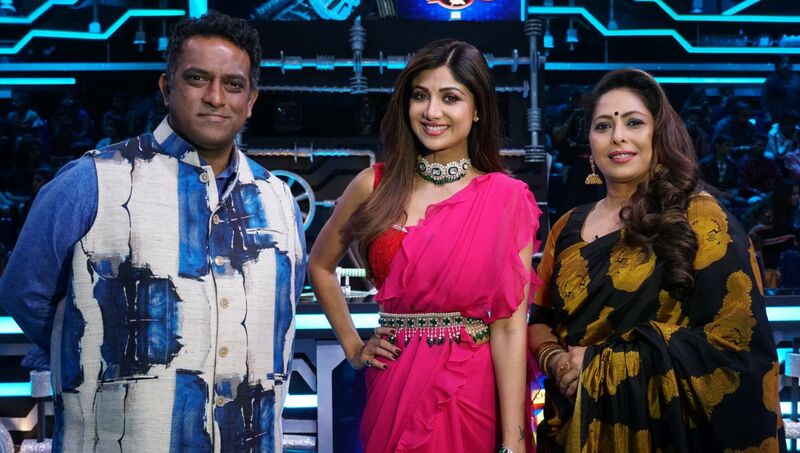 The 3 Super Judges, Shilpa Shetty, Geeta Kapur and Anurag Basu, have been judging the show for 3 years now and share a great bond. The audiences love the camaraderie between Geeta, Anurag and Shilpa. The three of them share such a good rapport that they are often seen pulling each other’ss legs. Their fun banter only shows that they share a good chemistry with each other. Many may not know this but Anurag Basu (affectionately called Dada) is a prankster on the sets of the show and is continuously pulling some trick or the other on the other two judges during the breaks of the shoot. He takes Shilpa’ss cellphone and randomly calls or answers any calls or messages people without her knowledge. Once, Dada recently added salt in Shilpa’ss tea. He plays such pranks so smoothly that he rarely gets caught in the act. He distracted Shilpa and swiftly put salt in Shilpa’ss tea. Unaware of the fact that Dada might have done this, poor Shilpa sipped the tea. She assumed that the buttered bread that she dipped in the tea first was the cause for the salty taste. The next time that Dada tried to distract her, she noticed him doing something with her tea cup and caught him red- handed. Shilpa says, Dada is the biggest kid and brat of the show even despite us having so many kids around. He always looks to pull his pranks on people and has a good laugh about it. We have to be careful from him.Geeta added that Anurag has pulled the same salt prank at her too before. She is wiser from the incident and now, orders a fresh cup of tea in front of her just to be sure that its safe for her to drink. Don’st miss the masti and magic of dance on Super Dancer 3. Tune in to Sony Entertainment Television, this Saturday & Sunday, at 8pm to watch the Grand Premiere episode.